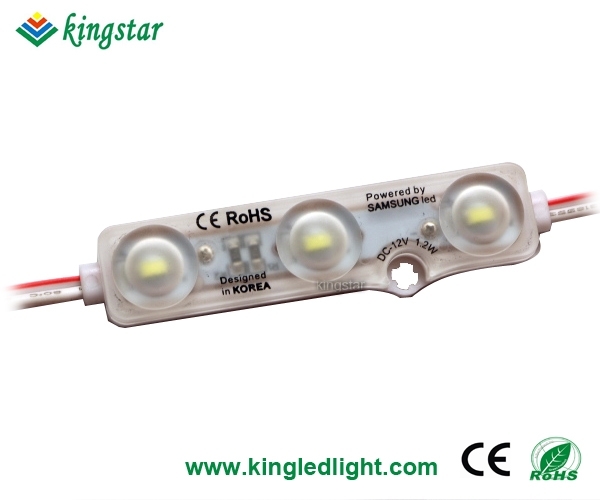 1.Adopt top 5630 smd led as light source. 4.The viewing angle of the module is 160°. 5.Easy mounting,can be fixed by 3M or screw. 6.Max. 50 modules in series. 7.Slight current drop through wire to wire connection. 8.With a plastic injection technique for outer cover, this unique structure grants a better cooling effect. UL94V0 ABS.